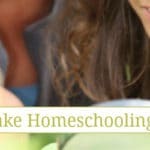 Summer is just around the corner and there are so many great ways to continue homeschooling through the summer months! In fact, summer is our favorite season to homeschool! Since the weather outside is warm and the world is full of life, we spend most of our summer days outside learning! Growing up in Texas, I loved spending days at the beach, there is nothing like having your toes deep in the warm summer sand with the sunshine high above your head! While I’m not raising my children back home, we have spent a lot of time on the beaches in Maine and it is always lots of fun. Our days at the beach probably don’t look like many other families days. We don’t pack an ice chest, towels or umbrellas. Typically, we just head to the truck and set out on a summer adventure to the beach. As a family we spend hours walking the shoreline, the kids run in and out of the waves while my husband and I check out the tidal pools. After the children have enjoyed their time in the salty ocean water, they enjoy discovering all of the bits of nature they can find on the shoreline, in the tidal pools, the air and the sand! It is amazing what children can find when they aren’t being told to look for something! I’m always surprised at what they find when we’re at the beach. The beach provides so many opportunities for you to teach your children without them even knowing that is what you’re doing! 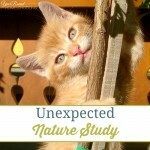 Kids love spending time out in nature, they love animals and discovering new things on their own. 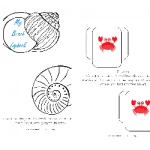 By taking advantage of their natural curiosities and interests, we can make a summer adventure at the beach become a homeschool adventure too! Learning about nature at the beach is easy and fun! Before you head to the beach this summer, think about how you can incorporate fun learning activities into your adventure! If your children love the ocean water try sharing a simple “lesson” on currents, tides, the salt in the water and/or how much ocean water covers the earth. You’re sure to come across seaweed on your beach adventure, see how many different kinds you can find and then take pictures of them to research at home for more science fun! Kids that like to collect seashells can take a collection home with them to create an amazing work of art, perhaps a seashell chime! Almost every child loves animals, so talking about what types of animals are found in the ocean, near the beach or in the sand is a great science “lesson”. Sea Glass is another item that you may come across at the beach, take time to explain how sand which is coarse creates such a beautiful creation. 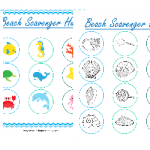 If your kids like adventure, then they might enjoy going on a beach scavenger hunt the next time you head to the beach! The windy days at the beach provide a great opportunity to “teach” your children about the different types of wind that affect the weather, temperature and much more! Do a beach unit study and have your children put together a lapbook showing all the fun things they learned! Nature fun at the beach is a great way to bring learning to life for our children! Instead of reading, watching or listening about the animals in the ocean, the seashells on the shoreline or waves in the sea, they can see, hear and touch everything first hand while we’re “teaching” them. Providing hands on learning opportunities is the best way to ensure our children understand what they’re learning! Finding ways to make “school” fun is essential to nurturing lifelong learners. If homeschooling is boring and they aren’t enjoying what they’re learning, then they will not be interested in learning beyond high school. We need to encourage them to LOVE learning by allowing them to learn in natural ways, through life and their interests! 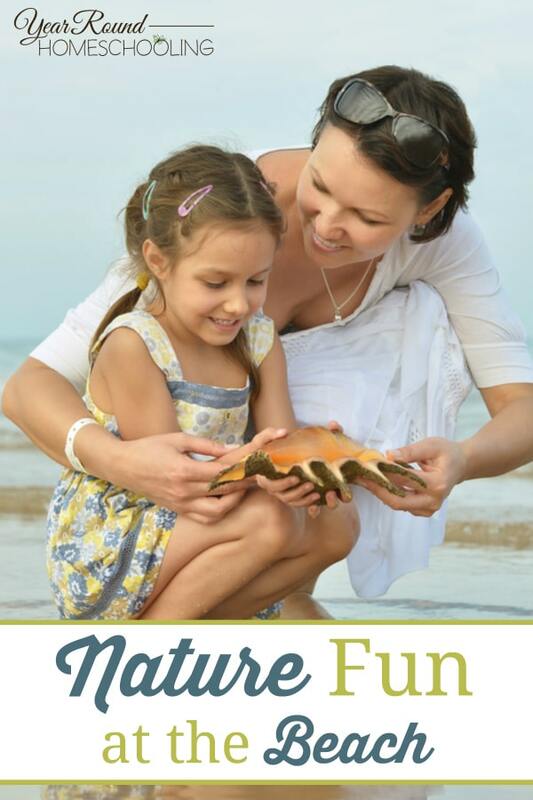 How do you have fun learning about nature at the beach with your kids? We spend time at the beach (Lake Huron though, not the ocean :), exploring the way you do with your family. We love it too! I’m envious of all the shells you find, and the seaglass. My kids love catching sea creatures and we always find so many neat and wonderful things at the beach. Last year we walked across the parking lot to the marsh and observed all the birds. We stumbled on a family that had been crab fishing and they let the boys join in; they still talk about that!